…yet there is method in’t. With the temperatures finally above zero on a regular basis, it feels like summer might actually be around the corner. And for Driftwood, that means the Bard’s Bus Tour is coming up fast. Luckily for us, planning for this season’s tour began almost a year ago. This summer, Driftwood will visit 26 communities in Ontario (we’ll officially announce the full season and company on Shakespeare’s birthday, April 23). Company Members of Driftwood’s 20th season, including author Dr. Toby Malone (2nd from right). Structuring a six week, 26 venue tour across a great swath of South Ontario might seem like a tall order, but we’ve had a lot of practice. In fact, Driftwood began with only four locations in the Durham Region (where I grew up) and performed only eight shows over two weeks. There was no bus back then – we borrowed a neighbour’s trailer to transport the big stuff and threw the rest in the back of a few cars. Expansion happened gradually over time, growing to include more of East Ontario and the GTA before heading to points further West. First it was a few dates in Peterborough and Cobourg, then Toronto (in four different locations before we eventually settled in the East end’s Todmorden Mills and Withrow Park). 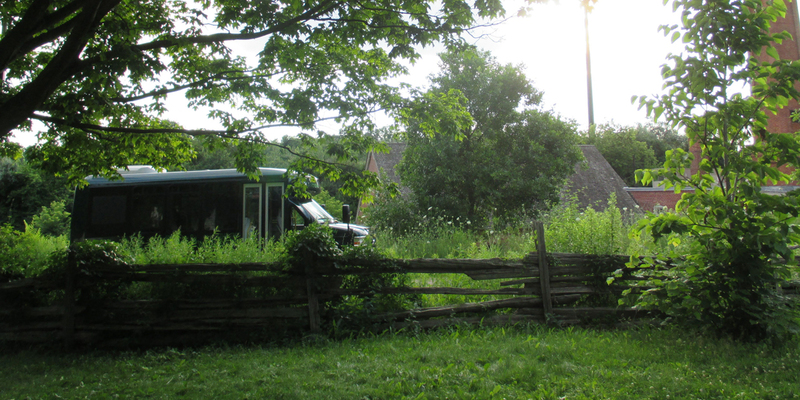 Along the way we’ve performed in parking lots, on farms, at private residences, and even under a beer tent. Driftwood now tours to points between London, Westport and Bobcaygeon. And yes, there are plans to expand even further. But always one step at a time. In 2015, we’re planning for a great mix of die-hard Driftwood locations with a few new and renewed sites and communities – places we’ve never been or just haven’t been in a while – to share our unpredictable, unsettling and downright dangerous adaptation of Shakespeare’s greatest play, Hamlet. None of this tremendous growth would have been possible without our Touring Partners – dedicated and passionate organizations and individuals across the province who work with Driftwood to provide venues, resources and marketing support. We currently have 20 Touring Partners across the province, ranging in size from voluntary organizations like the Friends of the Library in Marmora, to municipal bodies such as the City of Pickering (who are hosting Driftwood this year as part of the Durham Festival, celebrating the diversity of that region in tandem with the PanAm and Para PanAm games). Being a Touring Partner is a tall order, and each of our 20 partners is a unique and vital part of our success. When I founded Driftwood 21 years ago, it was to share my passion for classic theatre with the community that helped raise me. I never expected that it would grow to encompass an annual summer adventure across this great province. 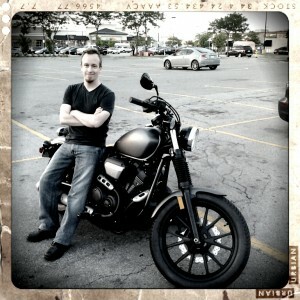 This does have its benefits however – I’m an avid motorcyclist and look forward to the summer season not only for Driftwood, but also because it’s riding season. So this year, as with most summers since I first started riding in 2004, I’ll make sure all of our 15 company members are comfortably loaded up on the Bard’s Bus and our other four-wheeled support vehicles before packing my bike, gearing up and getting onto the open road for another kind of adventure. 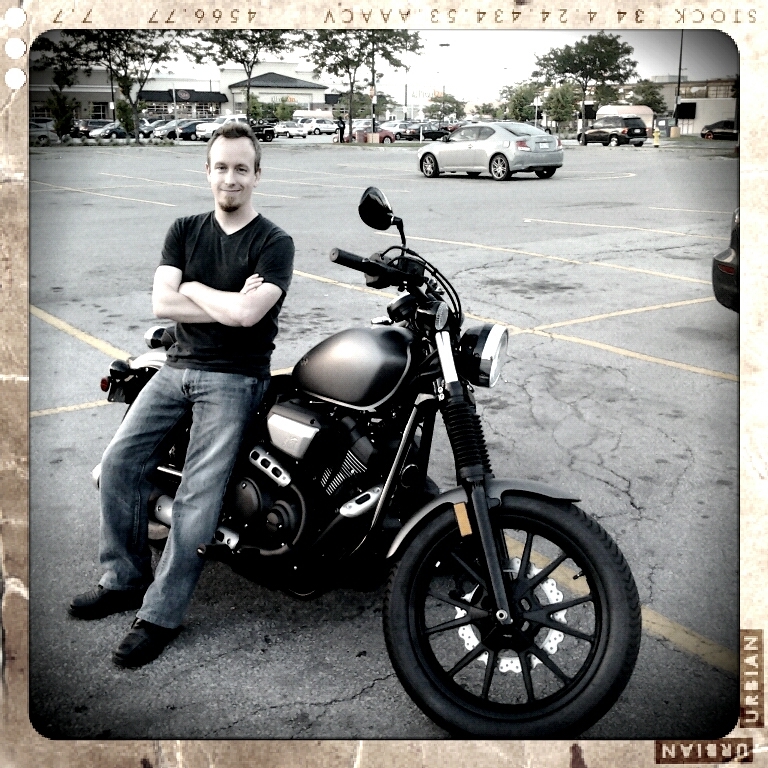 Driftwood provides me with an opportunity to get out there on my 2014 Yamaha Bolt and explore some of Ontario’s great roads while simultaneously bringing the magic of live theatre home to so many wonderful communities. As far as I can tell, it’s a win, win. Sign up to Driftwood’s e-newsletter to receive the full tour announcement hot off the presses on April 23.